I don’t remember when I started the race day pizza dinner tradition. I think it was after a half marathon, but I have carried it over to 8K’s, 10K’s and the occasional 5K. 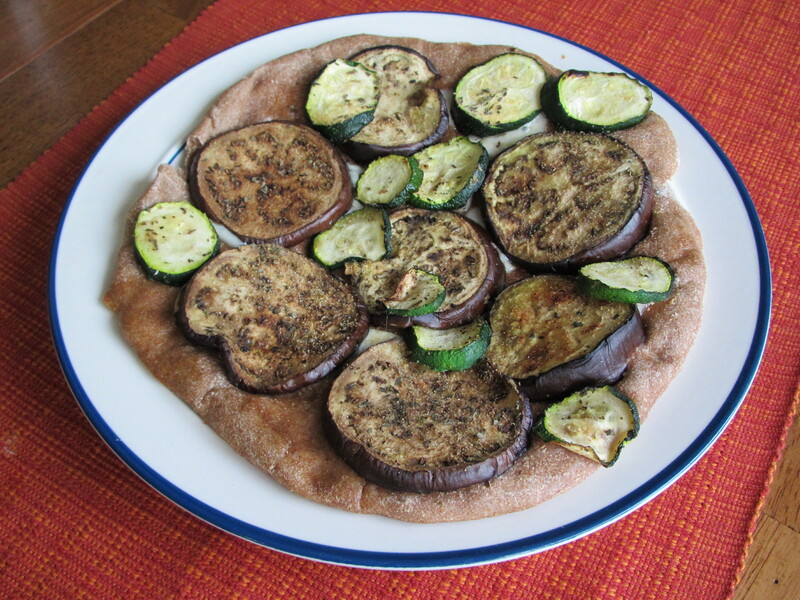 I used to live by a Homemade Pizza Co. and their whole wheat pizza with spinach, tomato, and pineapple was my favorite. I know it sounds odd, but you have to try it! 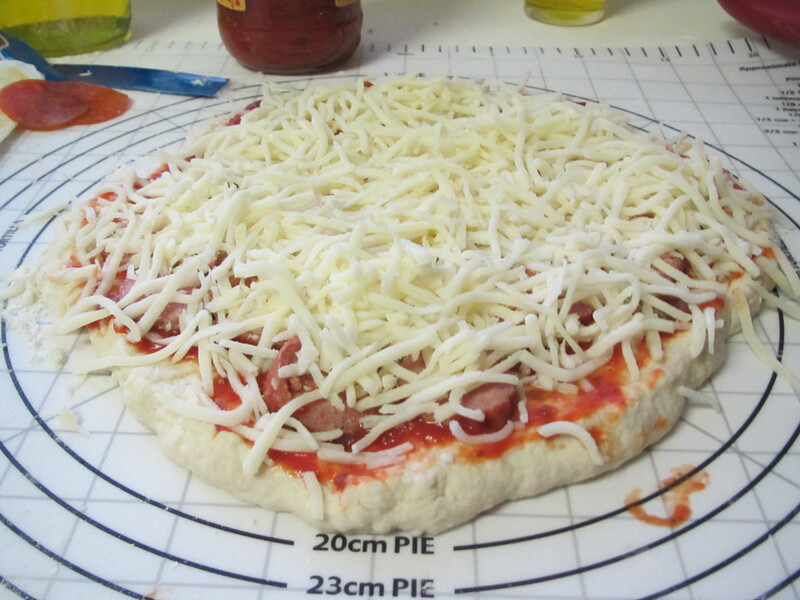 Since we had the time, I decided it would be fun to do a "Make Your Own" pizza night tonight. 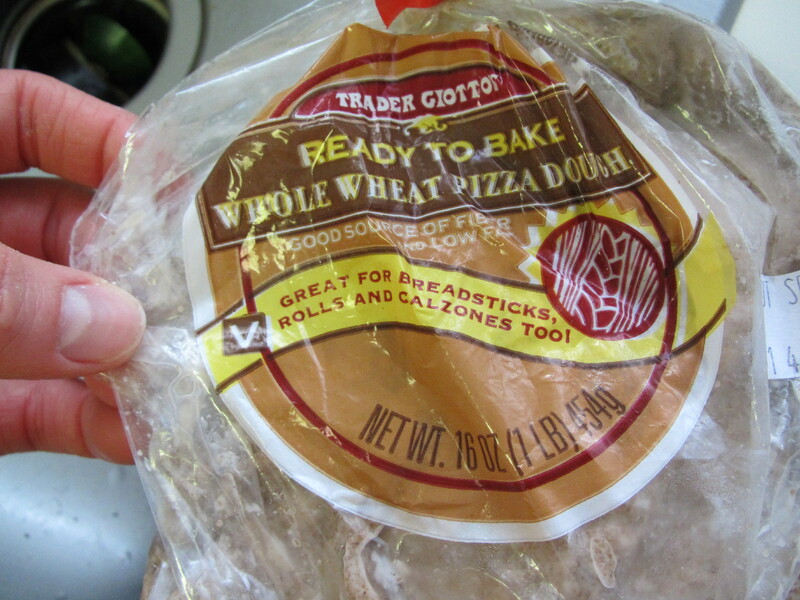 I bought this refrigerated dough at TJ’s. Whole wheat for me and regular for the BOY. At 99¢, how could I go wrong. 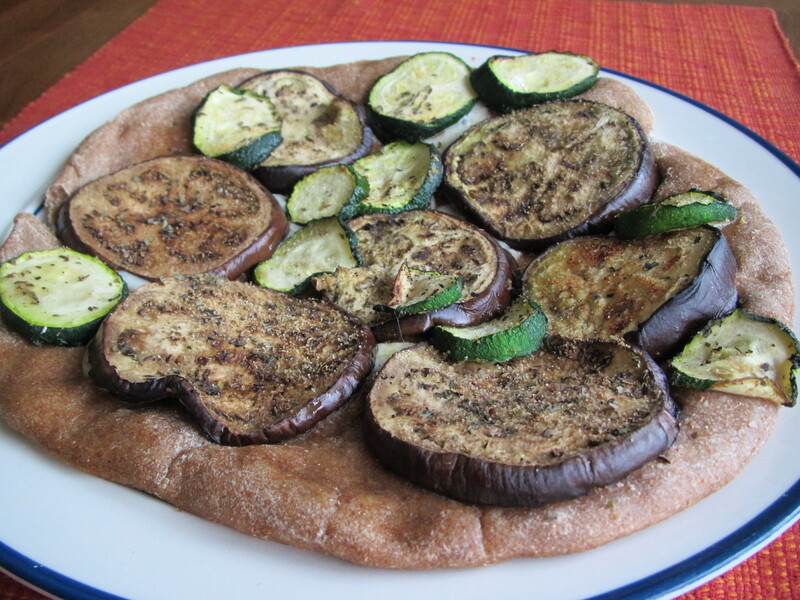 There’s a place in the city that has an amazing roasted eggplant pizza. I thought I would try to replicate it. 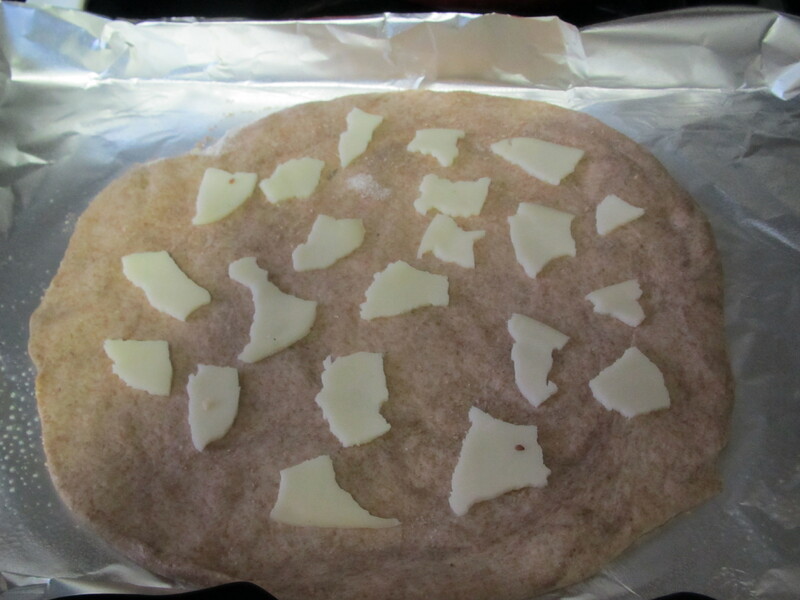 It is a white pizza with an amazing garlic and olive oil flavor. 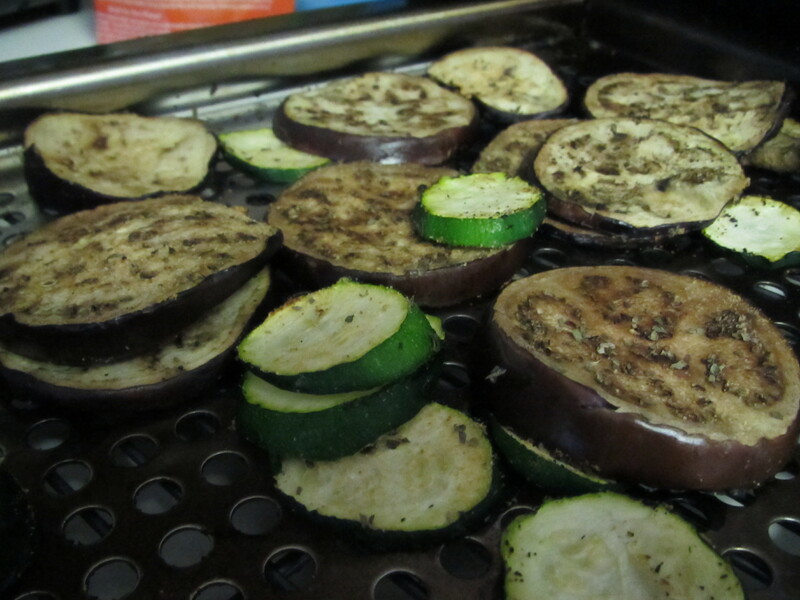 The BOY was nice enough to grill me some eggplant and zucchini. 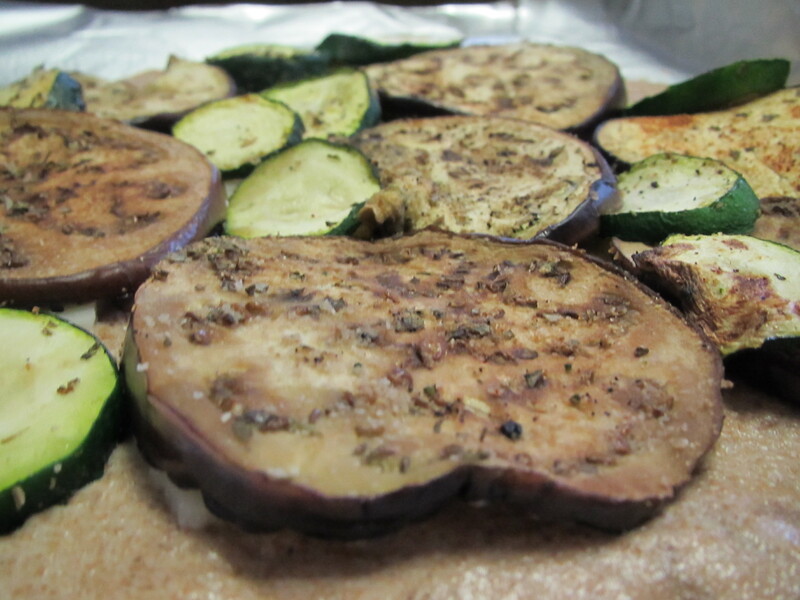 For the first time, I "sweat" my eggplant by adding salt to the cut eggplant and then waiting 30 minutes. I added some garlic and basil and it tasted great! 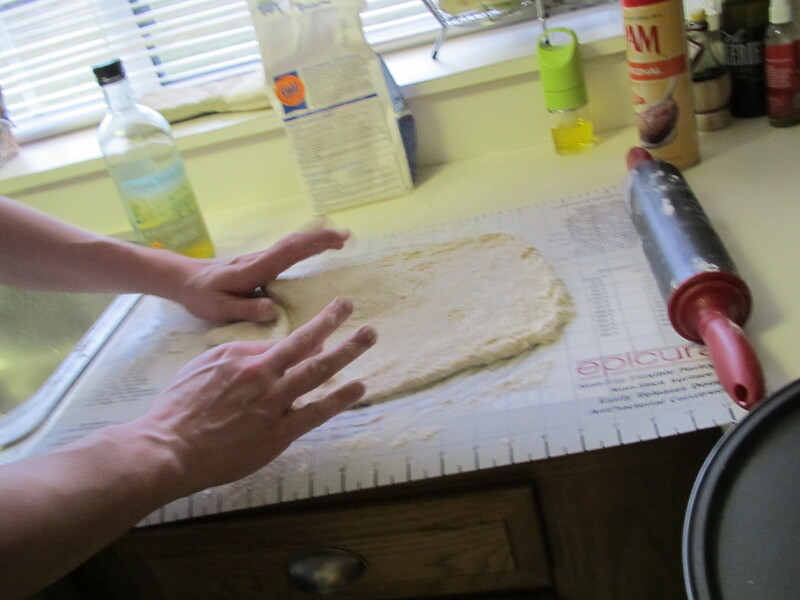 I was able to roll out my dough without difficulty. The BOY, on the other hand, had quite a hard time. He gave up and tried to throw away his dough like 9 times. I added some provolone cheese, my veggies, some olive oil and extra spices before placing it in the oven. The boy made this beautiful pizza (with meat under the cheese and he added more on the top), but couldn’t pry it off the surface. He was about to give up AGAIN when I suggested turning it into a calzone. 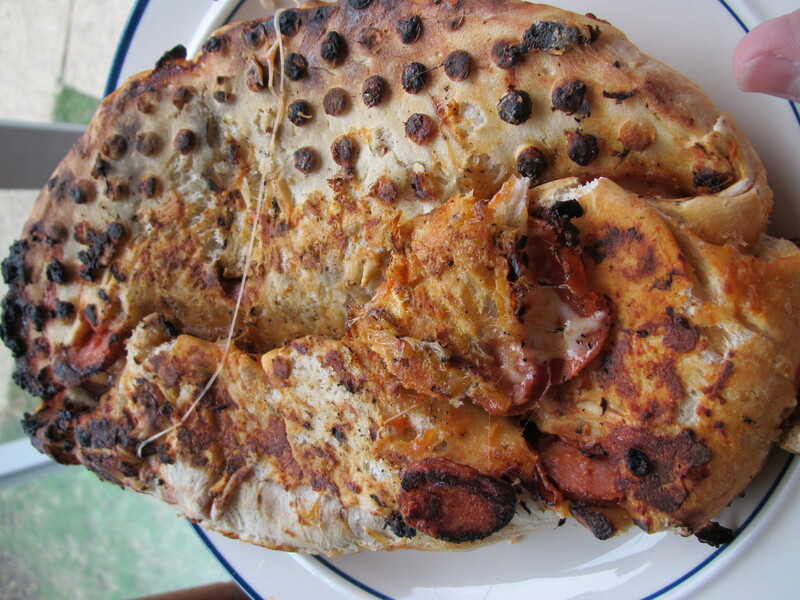 He grilled his calzone and although he wasn’t thrilled, it turned on tasty, but a little undercooked. He was a bit shy about me taking a picture and sharing his creation. My pizza came out and the dough was cooked well. 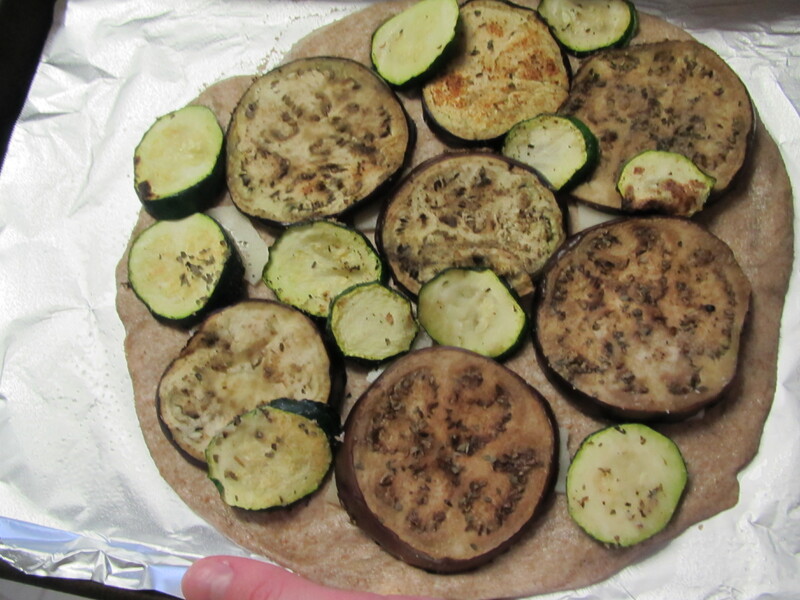 Unfortunately, the veggies lost some of their grilled flavor. 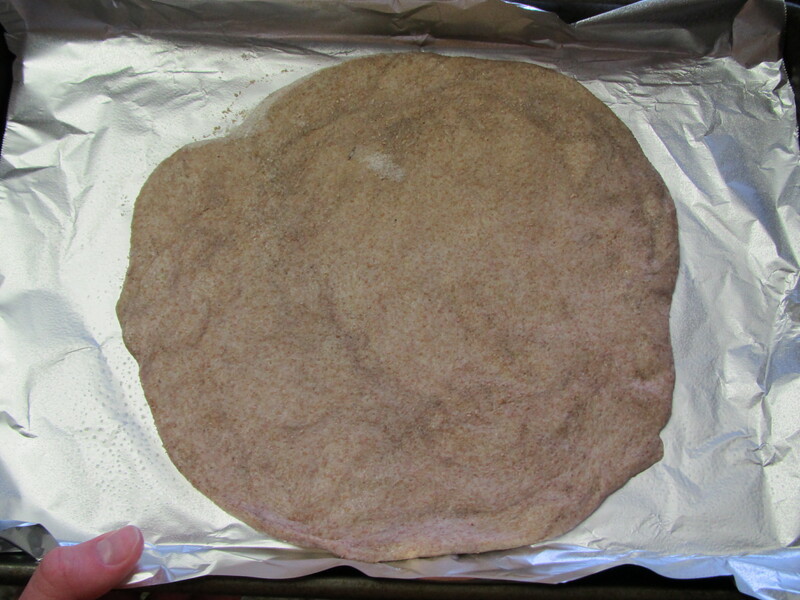 I think next time I will use a herbed olive oil (and maybe cut my veggies smaller) AND a store-bought crust for the BOY.